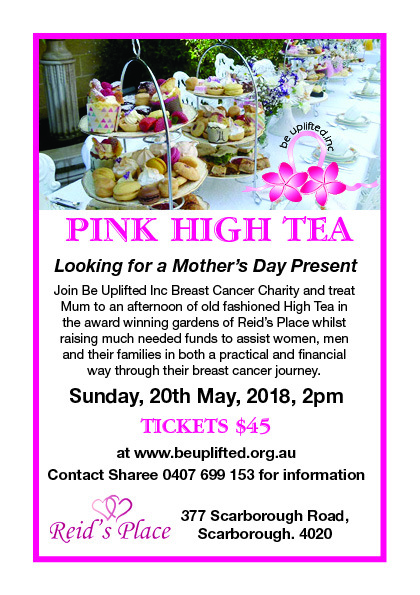 At Be Uplifted Inc we all love a High Tea. Those decadent finger sandwiches, miniature cakes and treats and who can resist scones with jam and cream? High Teas have been a British tradition since the mid 1700s, and while the original version was not as elegant as it is now, the devouring of scones is still a feature! And on Sunday 20 May 2018, the charming Reid’s Place will host an old-fashioned high tea amongst its lush gardens on the Redcliffe Penninsula. 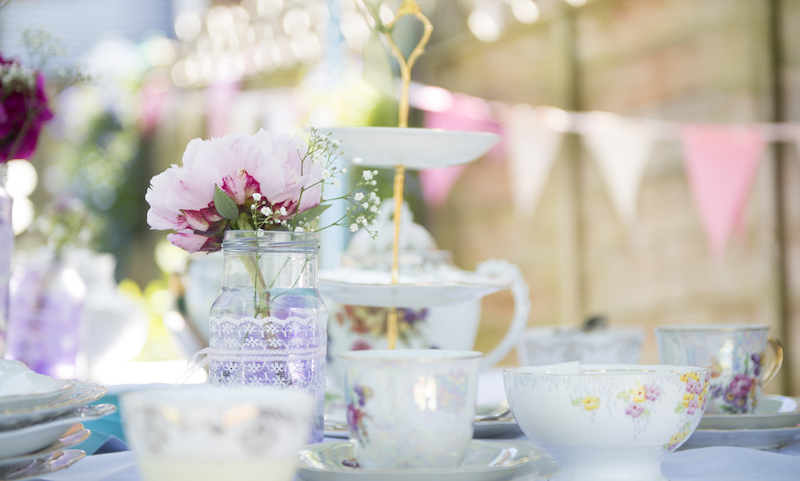 Enjoy a wonderful afternoon fundraising event for Be Uplifted Inc in an enchanting setting as your host Beth Reid provides a delicious traditional afternoon tea. Did you know there is a correct way to stir your tea! Did you know that when stirring your tea you should touch the cup? High Tea etiquette says that clinking sound is a big no-no! Instead, place your spoon at the 6 o’clock position then gently stir the tea towards 12 o’clock, not touching the sides of your teacup. Remove your spoon and place it on your saucer. And for those who drink milk, adding it first is considered best. This allows for milk’s creaminess to best combine with the tea. Historically, it also protected delicate bone china cups for cracking with the hot water. Want to join us on 20 May? This breast cancer fundraising event will take place on Sunday 20 May at 2pm at Reid’s Place.